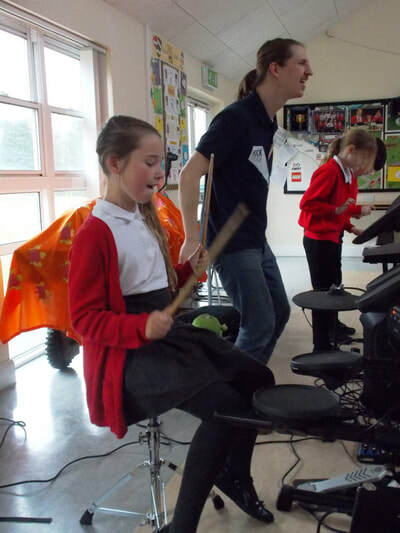 Our last topic of this year is 'Smashing Saxons' and we have really enjoyed learning about Anglo Saxon life so far. We have analysed evidence found at Sutton Hoo, created a timeline about the Anglo Saxons and learnt about the Picts and Scots. 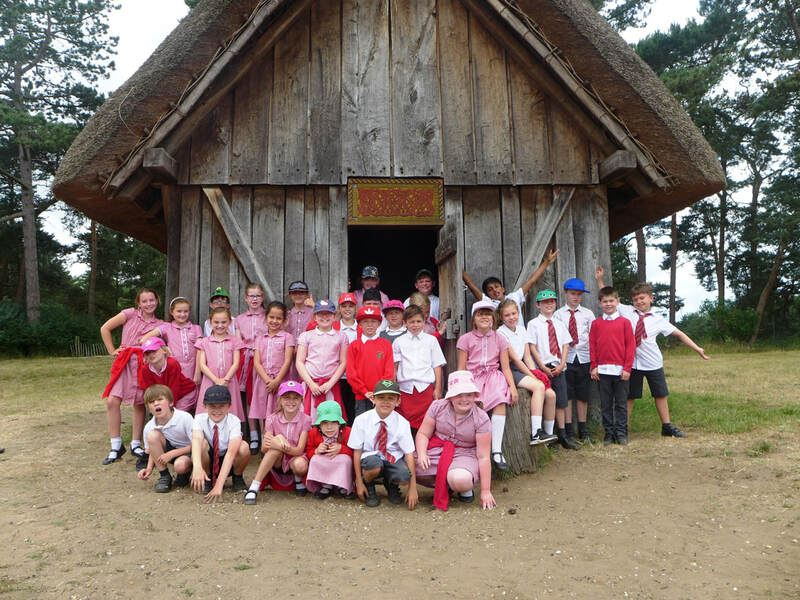 To bring our learning to life, we went on a trip to West Stow, a reconstructed Anglo Saxon village near Bury St Edmunds. We had a wonderful day and asked lots of questions which meant we learnt lots too! First, we looked around the museum and studied the artefacts they discovered at the site. When we had finished looking around the museum, we got to handle some artefacts and ask questions about them. We found out the Anglo Saxons made jewellery out of boar teeth! The weather was lovely so we had our lunch outside. After lunch, we went to the village and looked round all of the reconstructed houses. It was very fascinating! At the end of the day, we met in the great hall to ask more questions about the houses and the Anglo Saxons. 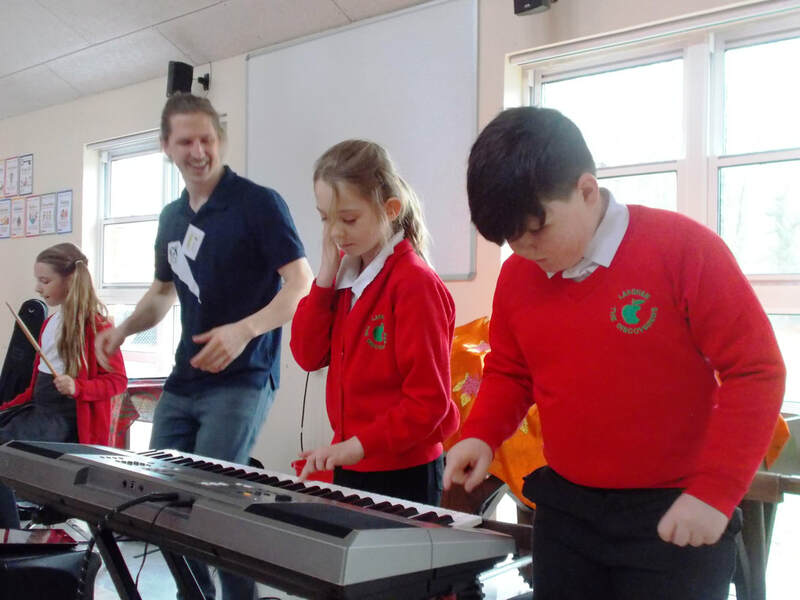 We had a fantastic time - well done Class 3! We used the original recipe to calculate how much of each ingredient we would need for 5 groups. We used the adapted recipe for 5 groups to work out the cost of Miss Chiam's shopping for the chocolate squares! We calculated the perimeter of chocolate squares and the ingredients used to make it. We solved a problem systematically involving the toppings we put on our chocolate squares. Finally, we shared our chocolate squares. They were delicious! Thank you Mrs Harrow for helping us with the cooking! 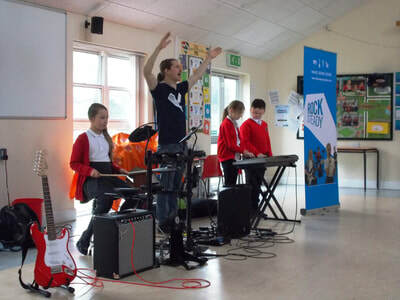 'Shocking Electricity' was the title of our topic for this half term. We have been learning about how electricity is made, circuits and switches. To begin the topic we created our own piece of commentary for a video from the BBC. 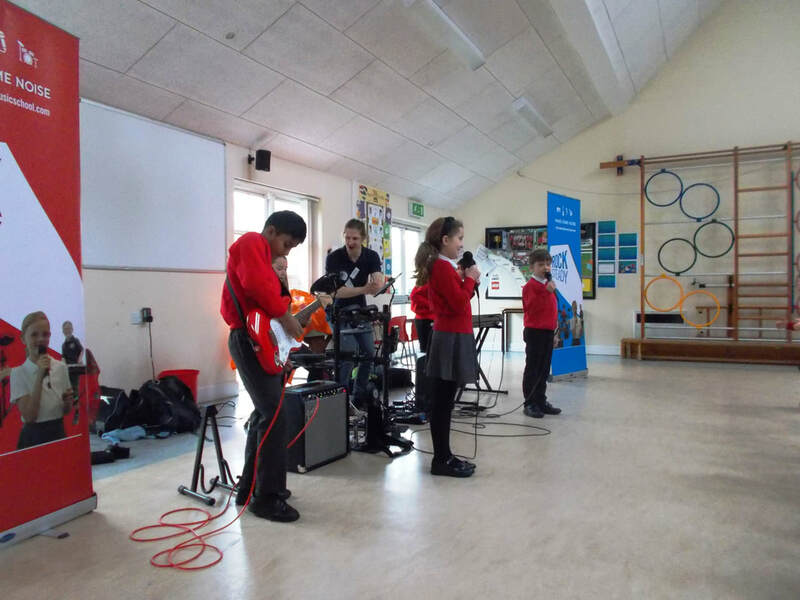 First, we learnt about how electricity is generated and the difference between renewable and non-renewable energy. We then presented our commentary to the class whilst the video was running. We really enjoyed this! We have enjoyed learning about circuits and how they work. Our first challenge was to use all of the components needed for a circuit to build a complete circuit. After we completed the challenge, we discussed what made a complete circuit before making predictions about a series of circuits. Then, we tested them out to see if we were correct! 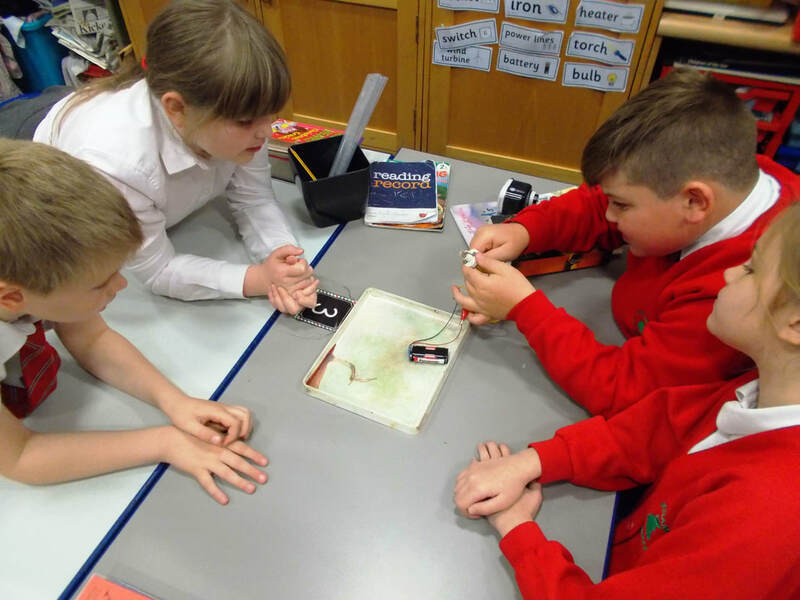 Over the last few weeks, we have also investigated conductors and insulators, switches and even planned and tested our own investigation surrounding switches. Our topic for this half term is 'Mazin' Magnets. We will be learning all about forces and magnets before using our DT skills to create our own magnet maze game! Once we had learnt all about forces and magnets, it was time to use our knowledge and DT skills to create our own magnet maze game! 1. Create a design criteria. 2. Learn how to make a maze. First, we had to come up with a design criteria. To be able to do this, we looked at some existing games and had a go at completing some mazes. We had to decide what makes them successful and how we could improve them to create a checklist for our design criteria. Once we had followed all the steps and our games were complete, we used our classmates to test them out and help us evaluate them against the design criteria! We made our own compass using a bar magnet. 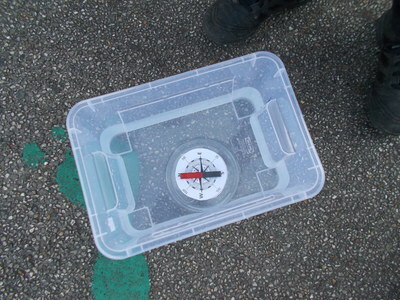 After that we used our compasses in a treasure hunt! 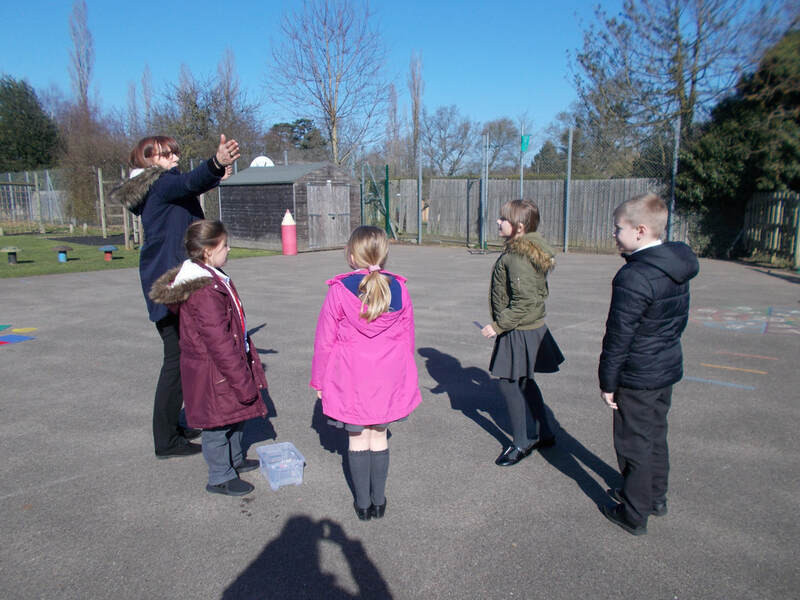 Each team was given a direction where their treasure was hidden. We had to use our compass to direct us to the treasure. In Literacy, we have been using our reading skills to learn all about magnets so we can write our own information texts. We have learnt that a magnet is special because it has a magnetic field that attracts certain metals. We used our knowledge to help us investigate magnet strength in Science. Before the investigation, we had a challenge to complete! We each had a steel paper clip attached to some string. We had to try and use a magnet to make the paperclip float. This showed us how the magnetic field pulls objects towards the magnet. We were amazed by what happened! 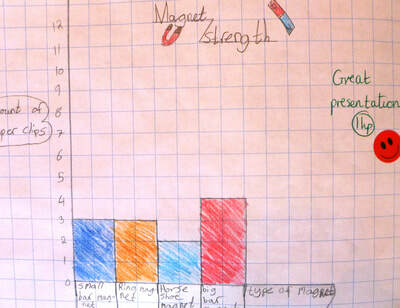 After we had learnt about the magnetic field and different types of magnets, we started our investigation. 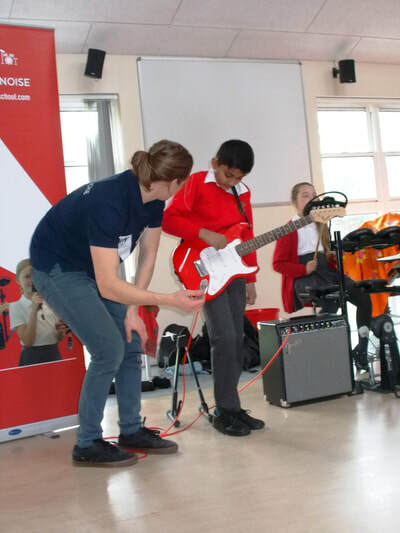 'Which magnet is the strongest?' We used a ring, bar and a horseshoe magnet for our investigation. 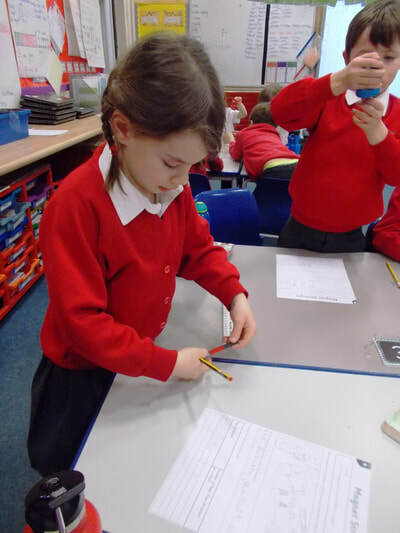 We made a prediction based on the challenge at the beginning of the lesson, then we started to test each magnet's strength by seeing how many paperclips we could attach to it. Once we had collected all of our findings in a table, we drew a bar graph to show our results and to help us come to a conclusion. 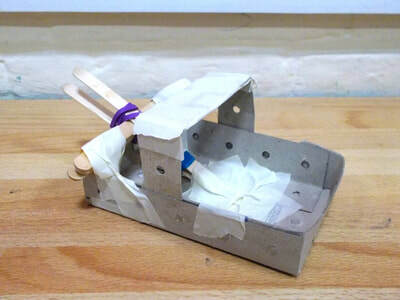 How does friction affect how a toy car travels? We learn that different surfaces all exert a force. This force is called friction. Friction is a force that holds back the movement of an object. Friction acts in the opposite direction to the movement of the object. 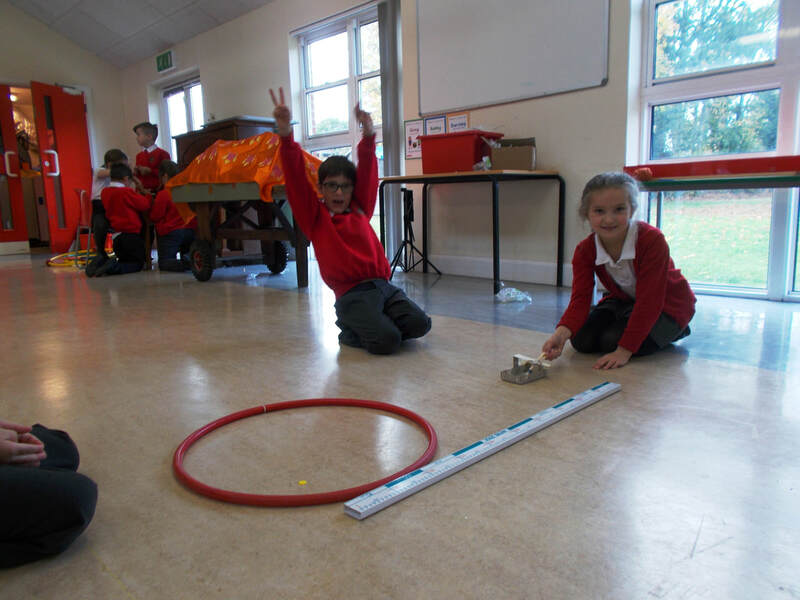 We planned and carried out our own investigation into how friction can affect movement. First, we posed the question 'how does friction affect how a toy car travels?'. 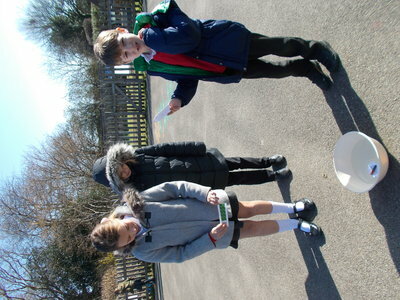 Next, we made our own predictions and recorded our equipment, what will change each time and what will stay the same. 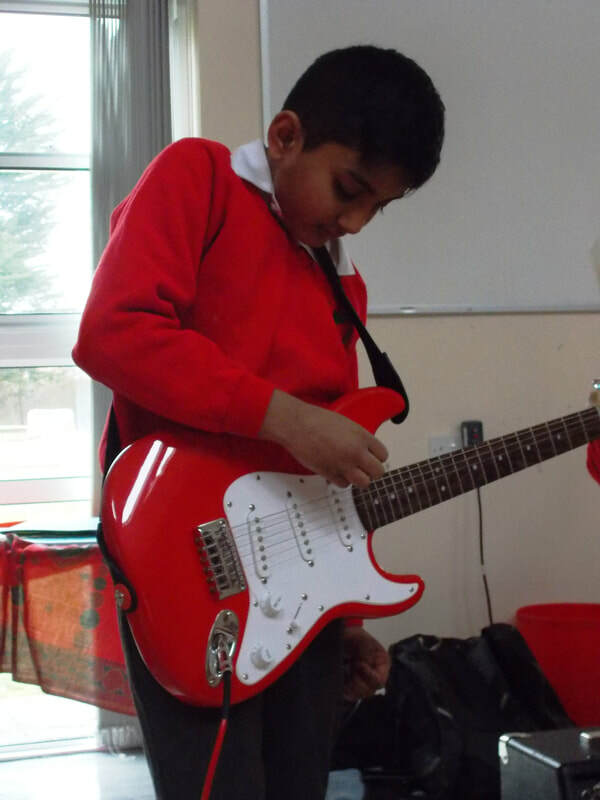 We discussed the importance of this as we needed to ensure our test was fair and our results as accurate as possible. We went down to the hall to carry out the investigation. We used four different surfaces and measured the distance the car travelled after leaving each ramp. Once we had collected all of our results, we looked carefully at our measurements to decide which surface had the most friction. We realised that the surface with the longest measurement had the least friction and the surface with the shortest measurement had the most. We used this knowledge and our understanding of friction to write our conclusions. 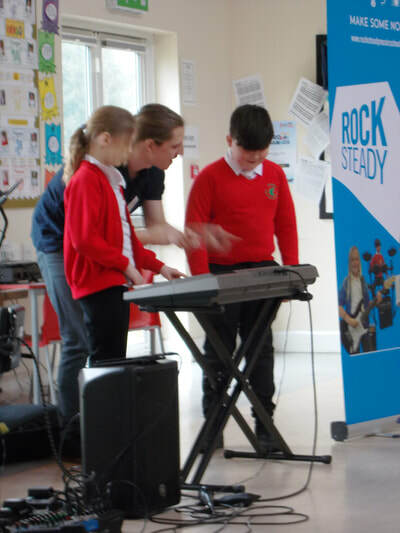 A few weeks ago, we had an assembly about rock music from a music company called Rocksteady. 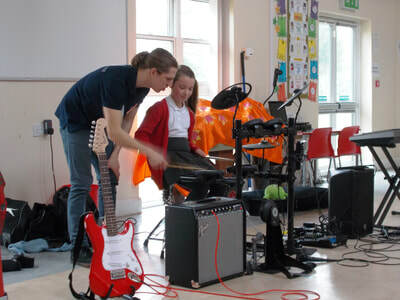 After that, we had a workshop just for our class to introduce us to the instruments included in a rock bank. We learnt how to play 'We Will Rock You', it was great fun! This half term, we have been on a mystery tour all around the world! 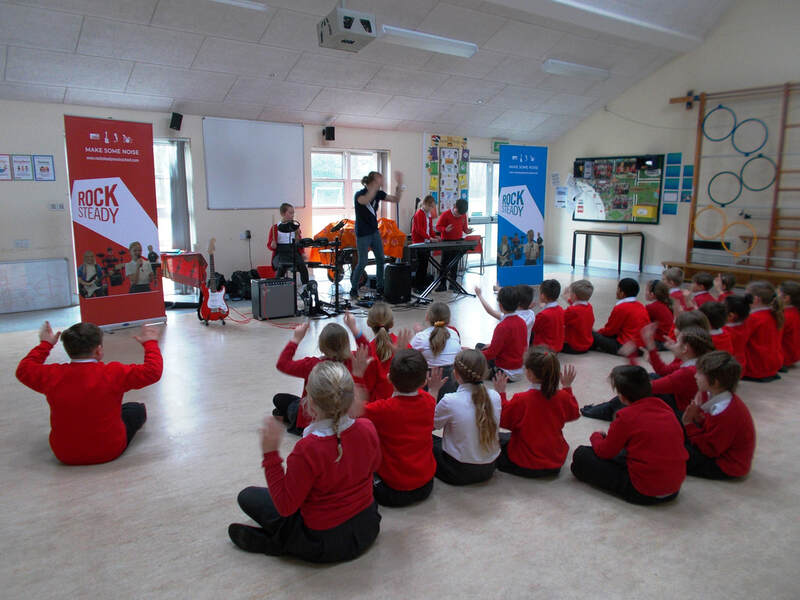 During our tour, we visited Australia, North America, and Italy. The first country we visited was Australia! 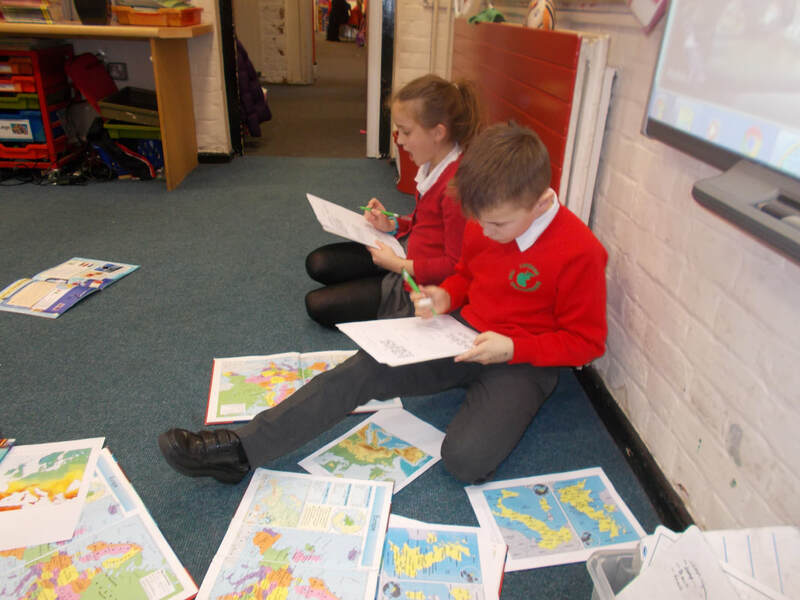 First we used a world map to compare the size of each continent. We learnt that Australia is special as it is a continent and a country. We also learnt about the art in Australia. 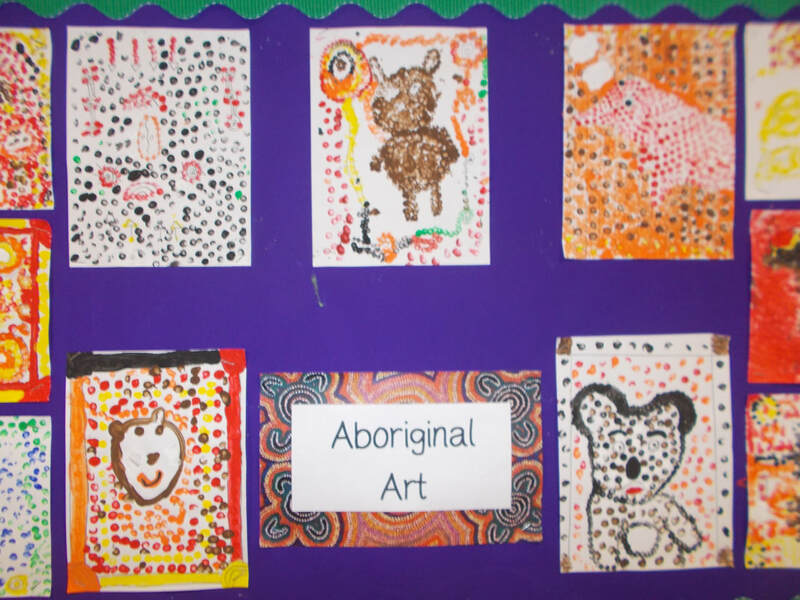 First, we learnt about Aboriginal art and used Australian animals as our inspiration for our own piece of Aboriginal art. Our finished pieces are on display in Class 3. 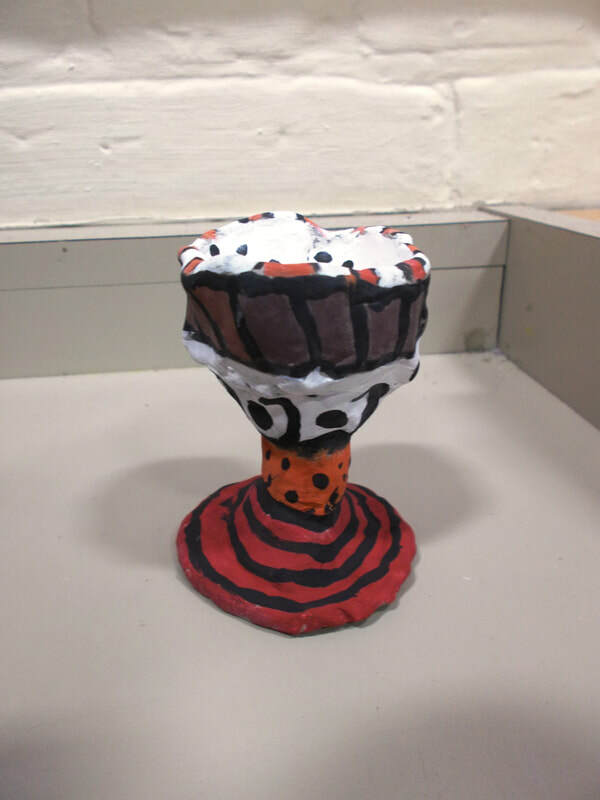 In addition to learning about the Aboriginal art and culture, we also learnt about the history of Australia and how that influenced one artist in particular. We looked at the art of Sydney Nolan who created paintings of the famous Australian outlaw Ned Kelly. He used bold brush strokes and bright colours to represent the story of Ned Kelly. We tried to recreated this technique in our own paintings. Next, we visited North America, we looked closer at the United States of America. We learnt about the difference between physical and human features of a country. We used this knowledge to sort famous features of the USA. We ended up having an interesting discussion surrounding some of the pictures such as Redwood National Park, California. After that, we learnt more about the Grand Canyon, which is a physical feature of the USA as it was carved out by the Colorado River. 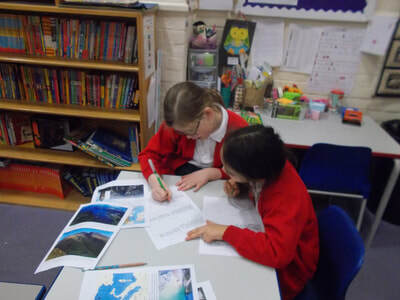 We videos, books and a map of the canyon to find out more and record our observations. The final country we visited was Italy. 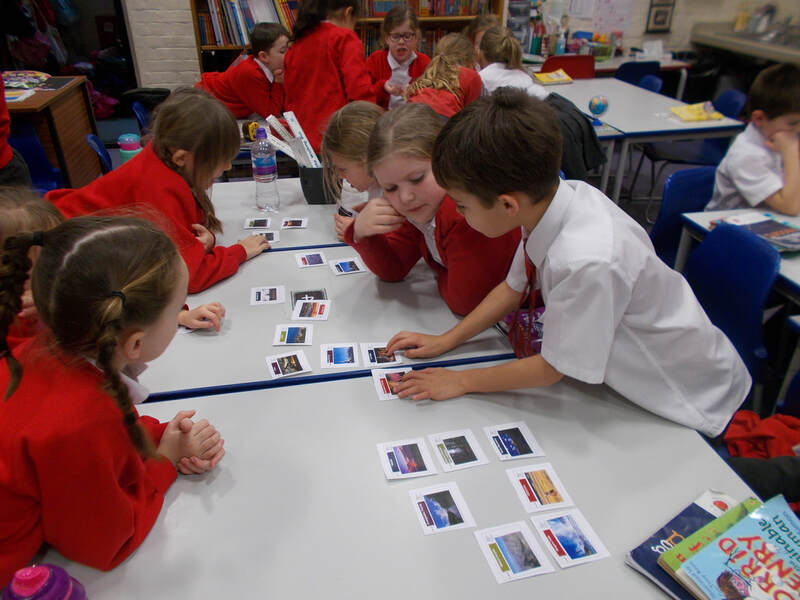 We used information texts and photos to compare Italy and the UK. 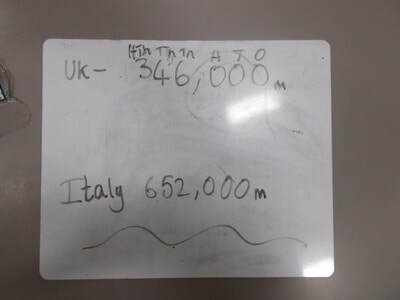 We had to use our observational, reading and even our maths skills to compare the countries. 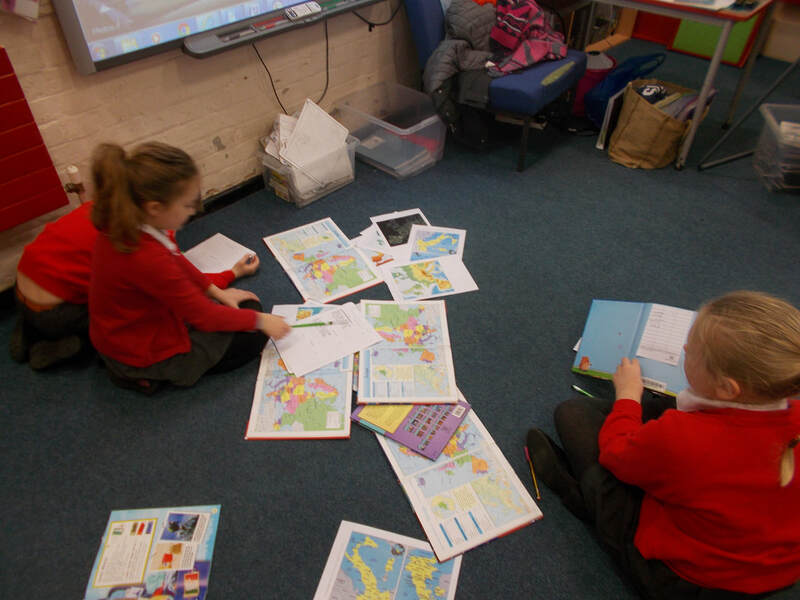 For more of a challenge, some of us used different kinds of maps to compare the two countries. We used a topographical map, climate map, satellite map and a political map to help. 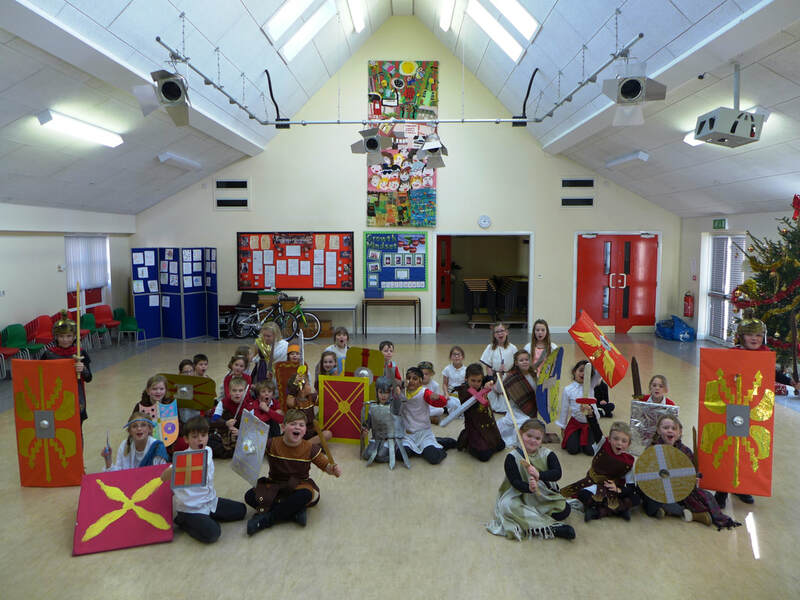 To conclude our Roman topic, Class 3 had a Roman day! For our topic homework, we had to create a costume to wear - we could choose to be a Roman or a Celt. Our costumes looked fantastic and we really enjoyed dressing up and learning all about the Romans in Britain. We did not want the day to end! First, we learnt about why the Romans chose to invade Britain and we completed a quiz to test our Roman knowledge so far! Next, we found out that the Romans loved to play games and we tried playing some ourselves. We had to use our knowledge of Roman numerals for a game called Delta and we had to think strategically for Ludus. 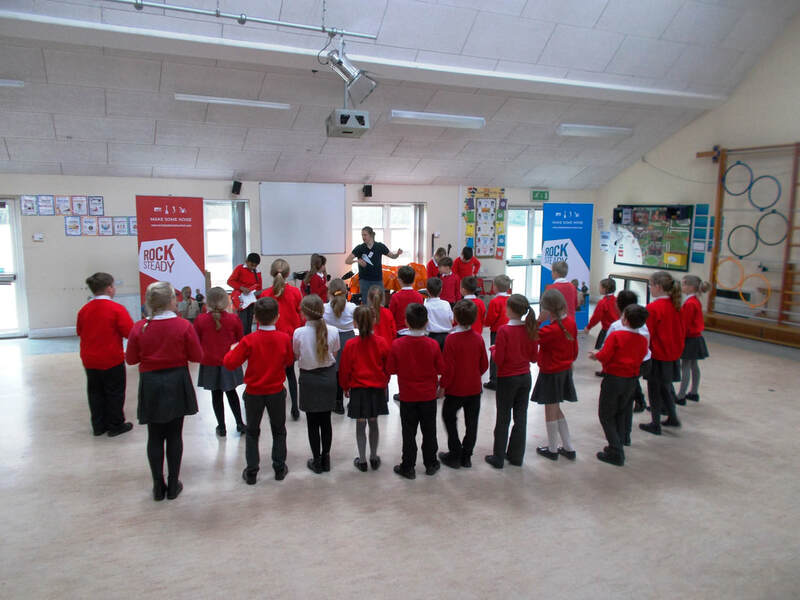 In the afternoon, we learnt some Latin and tried marching like Roman soldiers. After that, we acted out a battle between the Romans and the Celts. The Romans were victorious and captured some of the Celts to be used as gladiators! We finished the day by having our very own gladiator fights! Over the last 7 weeks, we have been studying and creating our Roman pottery. After looking closely at some Roman pots, we used our observations to deduce what they would have been used for. We then moved onto looking at the features and deciding what makes a good Roman pot. Using this, we then designed, made and decorated our own pots. 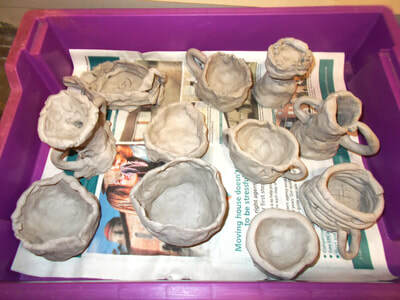 We chose between creating a coil pot or a thumb pot. Our topic for this half term is 'Rotten Romans'. 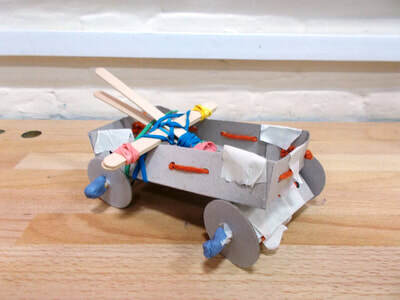 To introduce the topic, we learnt about how the Romans successfully used catapults to smash through walls and fortifications. 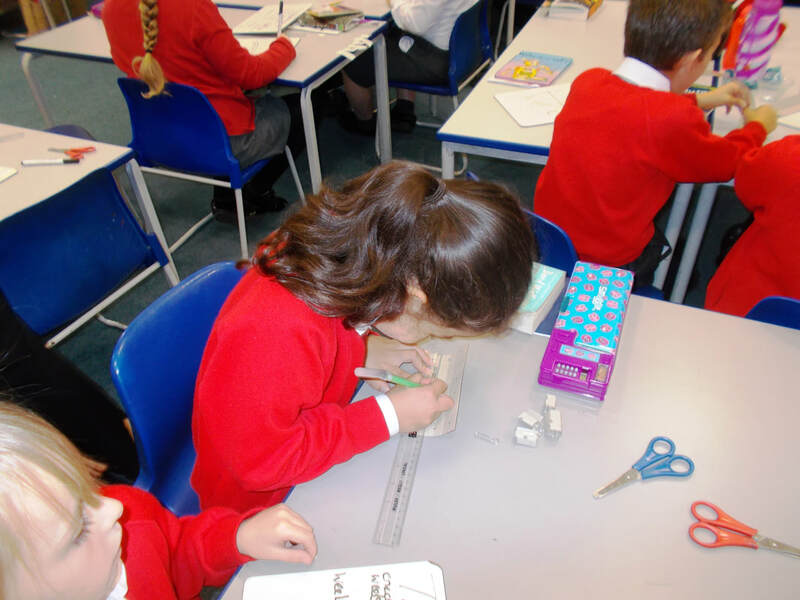 We were then given the task of designing and making our own catapults! 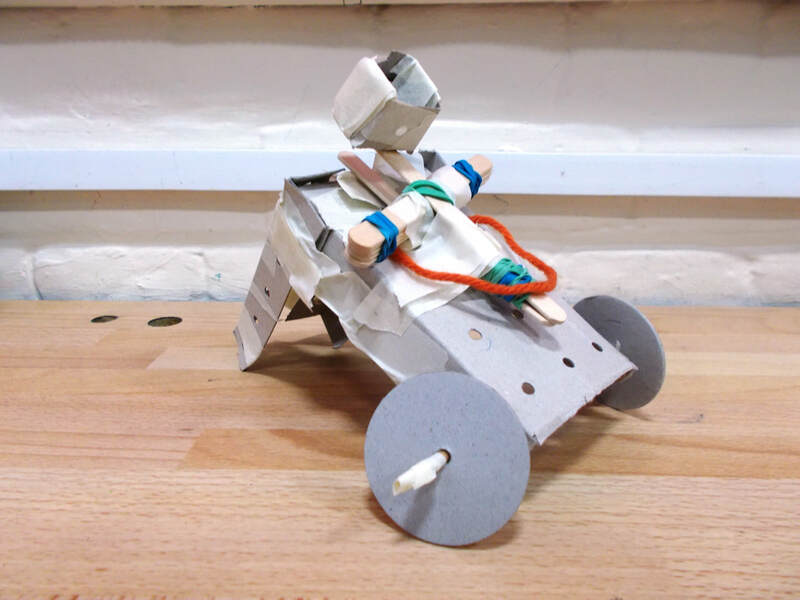 We worked as a class to think about what would make a successful catapult and recorded it as our design criteria. We referred back to this throughout our project. · Test out your ideas first. 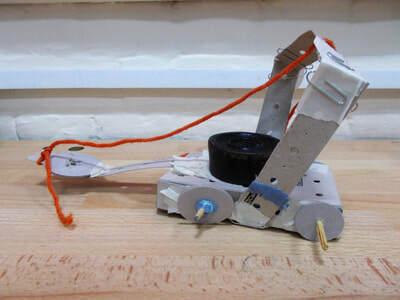 · Catapult must have a firing mechanism. · It must be strong! · It needs to stand up by itself. · You need to be able to hit a target. · The Catapult must fire over a distance. After thinking of our design criteria, we began to build the structure of our catapult. 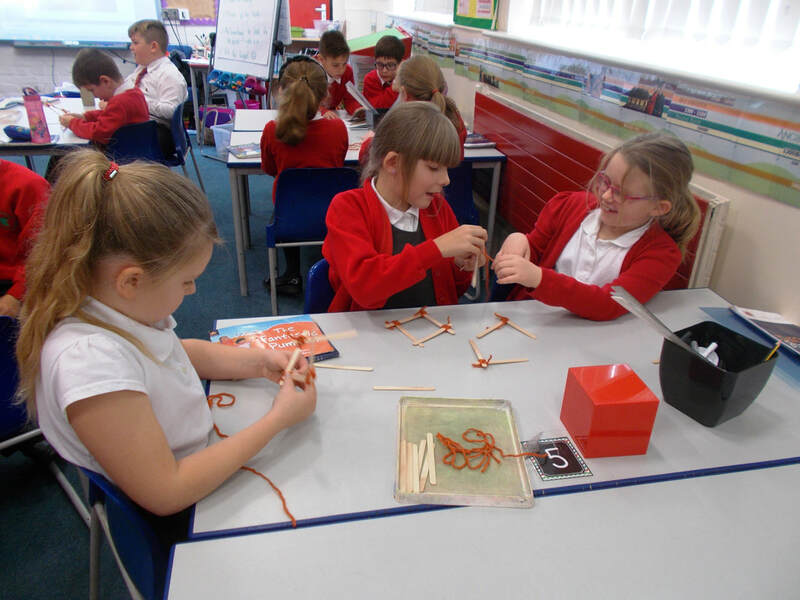 At first, we used lolly sticks and string to build a 3D shape but our structures did not stay up very well. 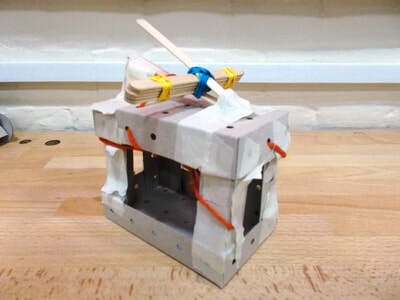 We had to think more carefully about the materials we chose and we ended up using Tech Card and a range of different materials to hold the structure together. 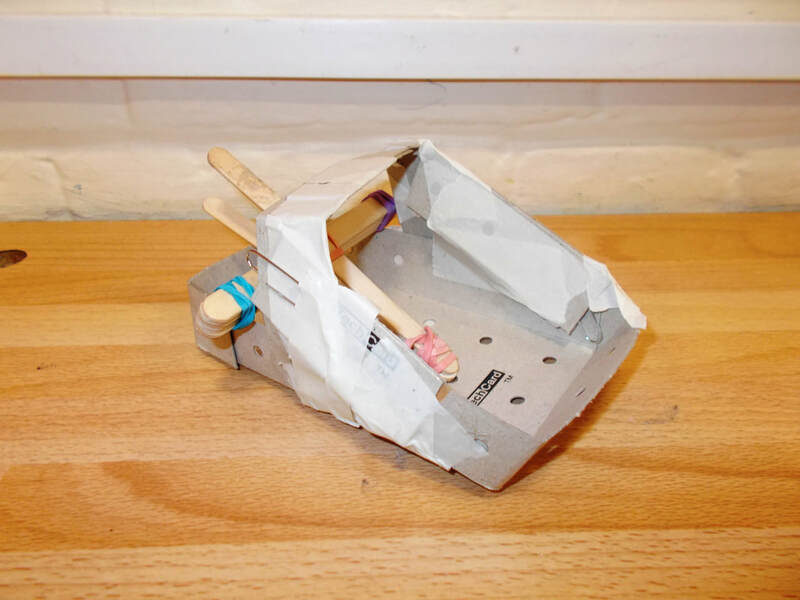 Once we had a strong base for our catapult, we explored the different ways to make it fire. 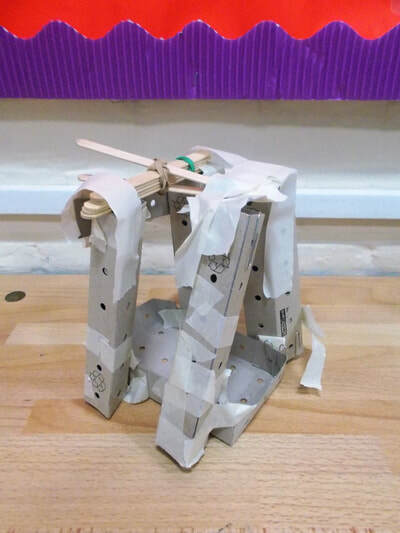 Most of us used elastic bands and lolly sticks, but one group used string and card to make their catapult fire. We attached our mechanism to our structure and carried out lots of tests to make sure that our catapult would fire successfully. We identified any problems and worked as a team to make the adjustments our catapults needed. 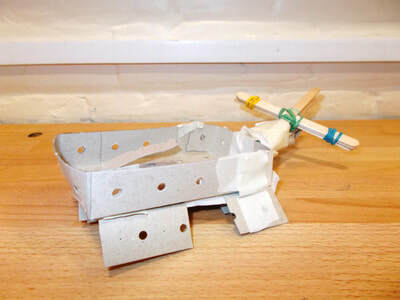 Finally, we tested the catapults to see if they fit our design criteria. 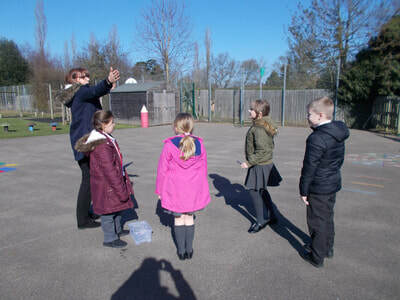 First, we had three attempts to see how far they could fire and we measured the distance in metres and centimetres. Next, we used a target to check how accurate our catapults were. We used a points system and had to add up our total after having three attempts. 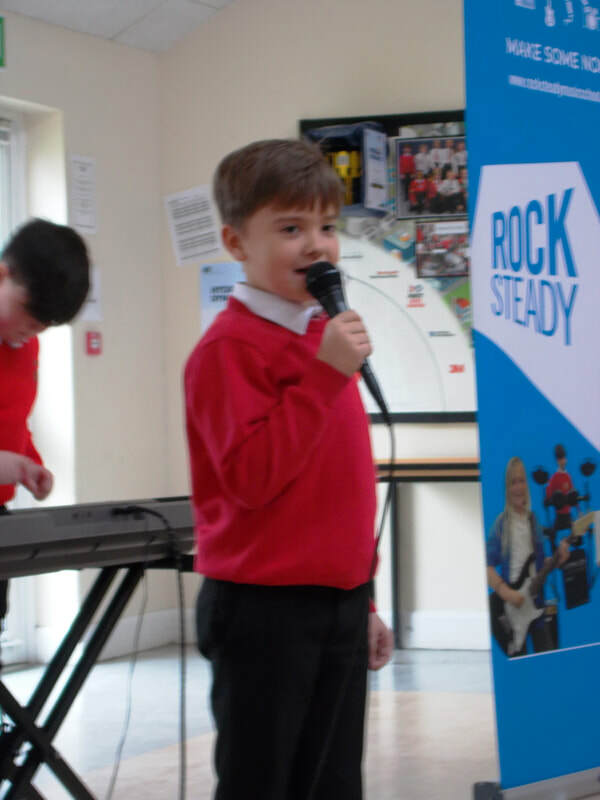 The whole school celebrated harvest by taking part in 'Harvest Festival Week'. 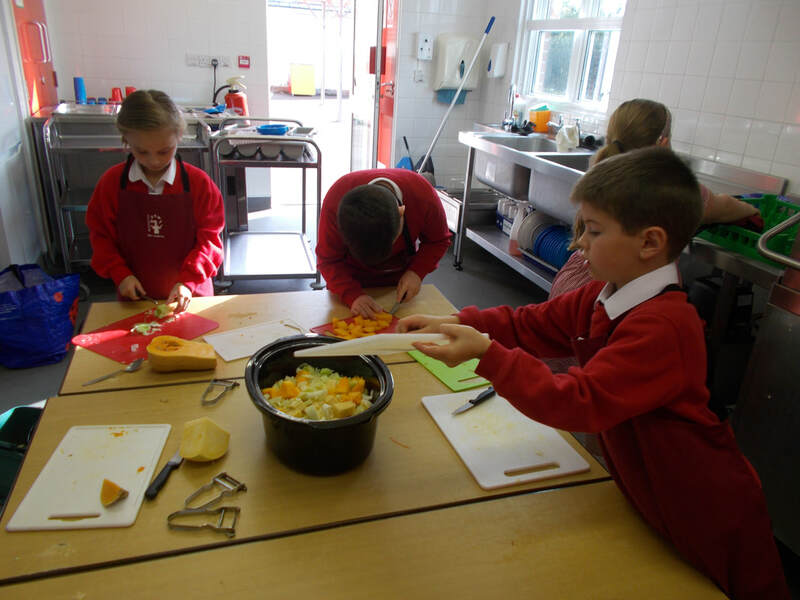 Class 3 learnt about how Harvest is celebrated in this country and around the world. We made vegetable soup with Mrs Harrow and then we wrote up the recipe. In addition to this, we made lanterns to celebrate the Chinese 'Harvest Moon Festival' and symmetrical pot designs for the Indian harvest called 'Pongal'. 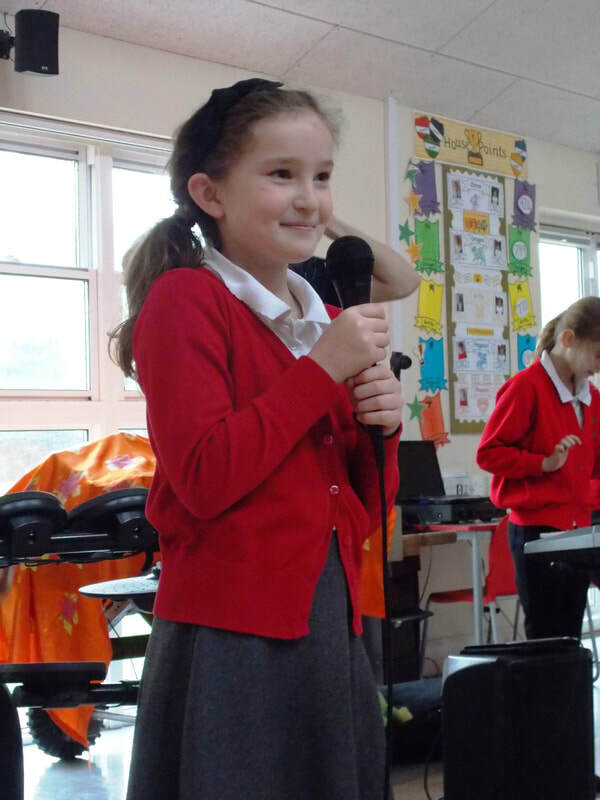 This half term, our topic is 'Little Shop of Horrors' so we are learning all about plants! After learning what plants need to grow, we created our own investigation. As a class, we thought of a question we could investigate: How does the amount of water affect how plants grow? We planted pea seeds outside, then each group decided how often they would water their plant. We decided that the amount of water needed to stay the same (150ml) to make it a fair test. 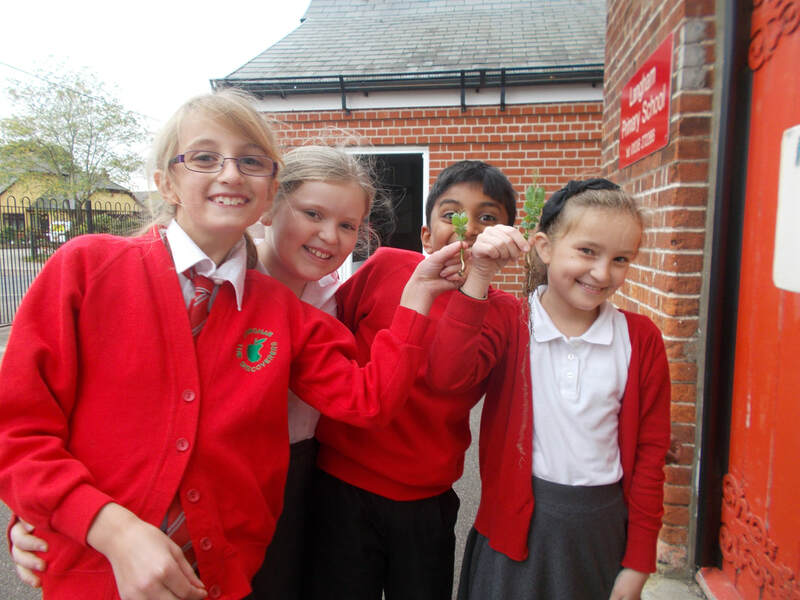 The investigation continued throughout the whole half term and at the end, we measured our pea plants so we could come to a conclusion and answer our question. We found out that the more your water a plant, the less likely it is to grow. We thought that because one group watered their plant 3 times a day and none of their plants grew. On the other hand, you also need to make sure your plant is watered enough. One group only watered their plant every 2 weeks and the result was their plant grew to 3.6cm. The highest plant was watered once a day and it grew to 13.4 cm! When we had concluded our investigation, we also took our peas out of the soil so we could have a closer look at the roots. We measured the roots and some were as long as 25cm!